Sometimes you just have to push the pause button on your work life and remember how humbling it is to stare into the vastness of the ocean. Or recognize how extraordinary it is to feel really tiny standing among and being swallowed up by a bunch of gigantic trees. Fortunately, I was able to enjoy this splendid feeling recently as I celebrated my boyfriend Michel’s birthday with a two-day trip to Mendocino, a tiny, charming coastal town in California about three hours north of San Francisco. The drive up to and through Mendocino boasts some of the most beautiful stretch of coastline I’ve seen. If you’re looking to get away from the Bay Area bustle for a day or two for some R&R or quality time with Mother Nature, I couldn’t recommend it more. There are so many things to do in Mendocino and the nearby area. 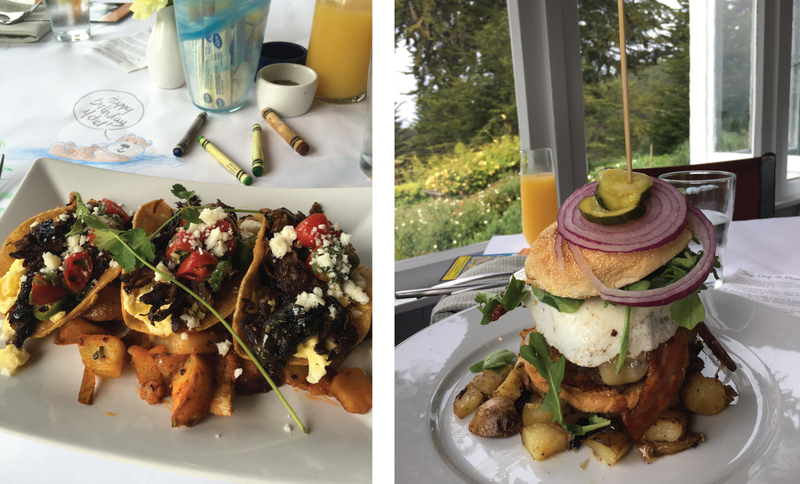 For the active types, there is hiking, kayaking, and tons of trails to run along, and for the gourmands in the house, there is some truly delicious food available here. Plus, sunsets. Everyone needs to stop moving and just sit on the beach and watch the sunset every now and again. 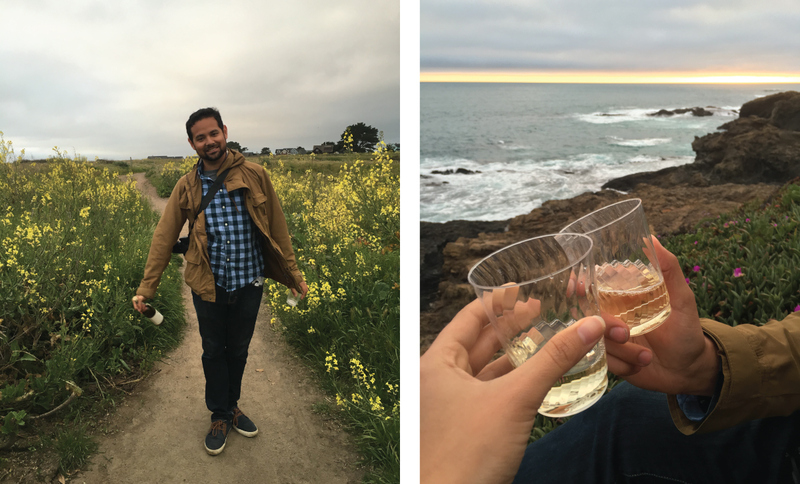 Here are some of my favorite recommendations for spending a couple days in Mendocino. We enjoyed breakfast as Circa ’62 at the Inn at Schoolhouse Creek, which is just a few miles south of the town of Mendocino. And when I say “enjoyed,” I mean enjoyed. I had the Mexican tacos, which included pork carnitas, scrambled eggs, caramelized onions and jalapenos, a cherry tomato salsa, and cojita, served with corn tortillas and spicy papas bravas. Michel had the breakfast burger, which is the largest burger I’ve ever seen. And by biggest burger, I mean it was taller than his head. The ingredients were fresh and the flavor was hard to beat.